"Promises to be suited by this longer trip and sets the standard on form..."
Smart performer who won Lancashire Oaks at Haydock (by short head from God Given) in July and shaped well when three and three quarter lengths fourth to Sea of Class in Yorkshire Oaks at York last time, keeping on well off a steady pace. Promises to be suited by this longer trip and sets the standard on form. Useful performer who won listed races at Goodwood in May and Pontefract (by short head from Alwaysandforever) in June. Finished respectable six lengths fifth to Pilaster in Lillie Langtry Stakes at former course last time, merely passing beaten rivals. Hard to envisage her reversing that form, and will likely find at least one too good again. Has shown smart form in a short space of time, winning minor events at Chelmsford in May and Kempton (by six lengths from Galmarley) in July. Improved further when completing a hat-trick in 12-runner Lillie Langtry Stakes at Goodwood last time by short head from Maid Up, battling well to lead near line. Very progressive filly who almost certainly has more to offer. Won maiden at Cork in May and Munster Oaks at same course in June (by length from Bloomfield, standout effort). Ran as well as could be expected when 12 and three quarter lengths last to Sea of Class in Yorkshire Oaks at York last time, and looks up against it again. Good-topped filly who won handicap at Newbury (by two lengths from Mistress Quickly) in July, and finished good five and three quarter lengths third to Crimson Rosette in listed race at Newmarket last time, despite shaping as if in need of a stiffer test. Remains with potential, especially now upped further in trip. Useful performer who won listed race at Leopardstown (dead-heated with Cimeara) in July, and produced career-best effort to follow up in six-runner Give Thanks Stakes at Cork last time by two and a quarter lengths from Kalaxana, shaken up two furlongs out after going on over five furlongs out. Return to this trip will suit and folly to ignore. 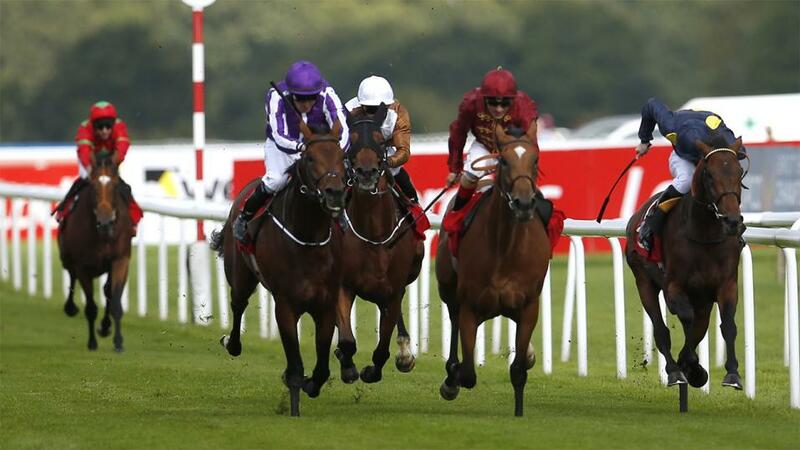 A tight renewal of the fillies' St Leger. HORSEPLAY seems sure to relish 1¾m and is taken to confirm Lancashire Oaks placings with God Given. Pilaster has a 3 lb penalty courtesy of her Lillie Langtry win at Glorious Goodwood but there's a good chance she has more to offer and she's another who is expected to be bang there.